Only just finished all the jobs that i booked in from last year. Thought I was going to be finished around May but had a lot more than I expected. My original plan was to ride the trans euro trail from Newcastle to the bottom of Portugal and possibly back up a different way via parts of Italy on my DRZ400. Even though I bought loads of parts for it months ago, bigger fuel tank, pannier frames and luggage, I’ve just lost the interest in motorbikes, possibly off driving so much now and all the parts are still sat in my garage with the bike that hasn’t even been started for about two years. The plan that I’ve got now is riding my mountain bike back home from brighton following just the UK tet route. I’ve got my one way train ticket booked to Brighton tomorrow, 31st July, and will cycle along to Newhaven and pick up the route from there. 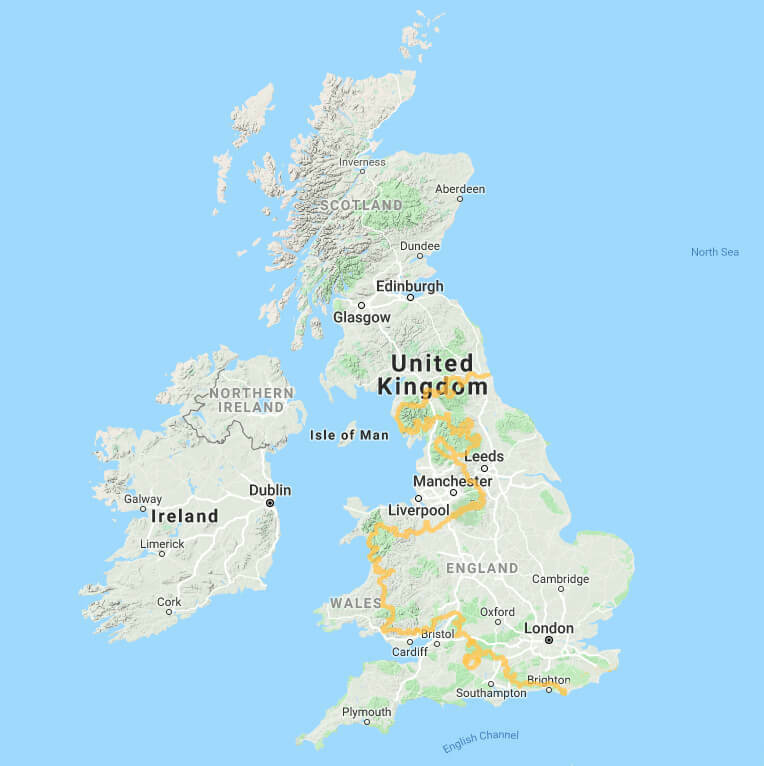 I think it’s about 1600-1700 miles from there back home, riding through the South Downs, Cotswolds, Wales, Peak District, Yorkshire Dales, Lake District and the North Pennines, riding back roads and byways. Info about the route can be found at www.transeurotrail.com with links to the GPX files and all the other countries included. If I can ride 60 miles a day the I should be home in a month, but it could be a bit longer if I need a rest day now and again and weather permitting. Hoping to find my love of bikes again having a break from everything, probably after the second day of cycling 😀 and will be able to do it faster next time. After i’m home and sorted I will be organising work again, more than likely starting October but might split the travelling up and only work from home some months, possibly the summer cause it’s far too hot in the van and weather should be good if people want to come to me. Using a full suspension mountain bike, I’ve had it for years and it’s just been sat in the garage too. 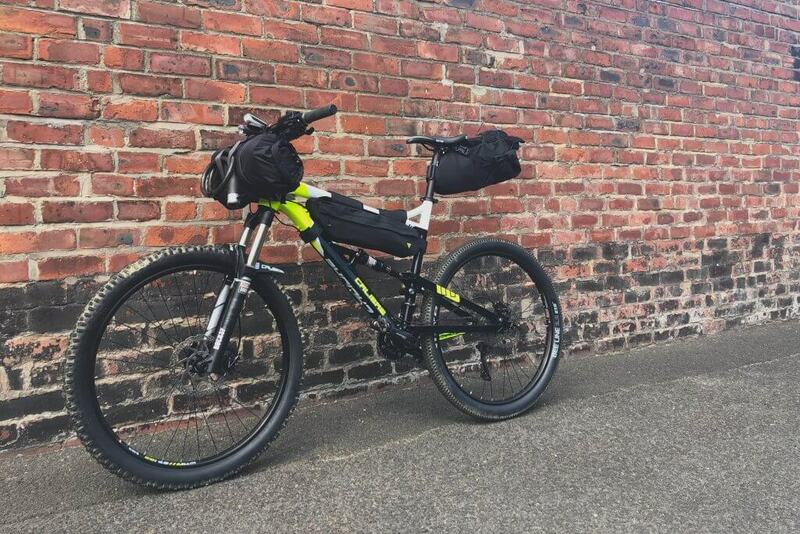 Fitted 3 piece Topeak bikepacking luggage to it, front bag, frame bag and tail bag with camping gear, tools and spare parts inside. Going to be wild camping as much as possible, although not legal in England and Wales, so will be hidden out of the way in the countryside. Can’t imagine anybody being there at the times i’ll be setting up and leaving.